These houses are for the birds! Really! In my spare time (LOL) I support my husband and his spice business at the Rail Yards Market in Albuquerque. 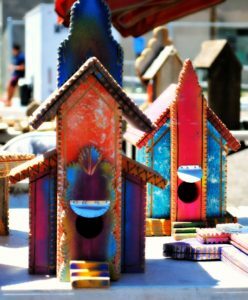 As I was helping out just this last Sunday, I was delighted by the booth of creative New Mexican bird houses! 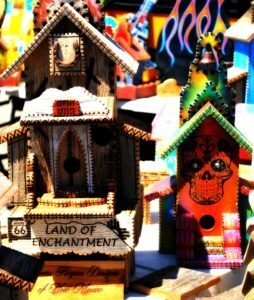 Made mostly from recycled products of weathered wood, rusty metal roofing and other found items, artist Thomas Hogan creates beautifully ornate and intricate bird houses, uniquely designed and handcrafted with the colors and flair of old New Mexico. And, it’s a thriving business for him; in the 10 years he’s been doing this, Hogan has made upwards of 6,000 birdhouses. Oh my! 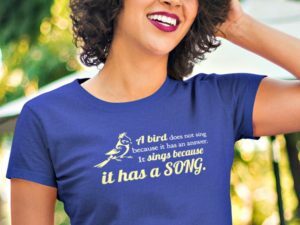 Just think of all the happy bird families. 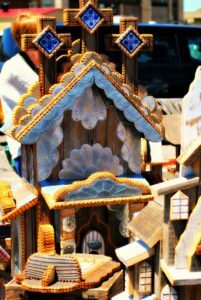 And just take a look at how gorgeous these bird houses are. I took these pictures in his booth at the market, secretly coveting every single one. 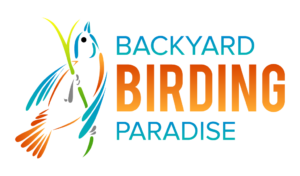 You can find his artistic bird houses around New Mexico, but if you aren’t in the area and just have to have one of these to adorn your backyard, you can contact him here. 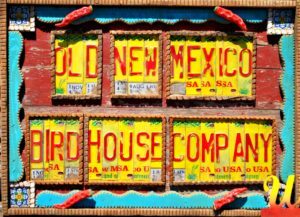 Add a splash of color and a bit of rustic old New Mexico to your backyard this spring and summer with one of these uniquely designed bird houses. And if you’re in New Mexico, look for Hogan at various festivals, famers markets, and art shows. And, keep an eye out for his converted school bus along the side of the road, where he’s also known to frequently shows his work.